No matter how well a carpet is vacuumed with a non-commercial quality vacuum, there will always be particles, dust, dander and more trapped in the very bottom of the carpet and in the fibers. 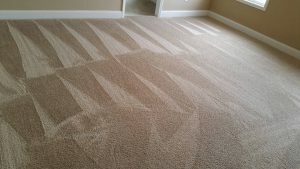 This is why Carpet Pros Carpet Cleaning is the go-to carpet cleaning service in Powell, TN. Still think carpet cleaning is not necessary and a waste of money? Read on to see why this is not the case. Most people shrug off the necessity of professional carpet cleaning, feeling the home vacuum is sufficient enough. Those who have allergies, however, think otherwise. Traffic moving across the carpet’s surface simultaneously buries and stirs up potential allergens, making those who have allergies suffer. Carpets are a filter, just like the air filter in the home air conditioning unit. It takes time, but there will be considerable buildup in the carpet. Everyone who is in contact with the carpet will eventually breathe this buildup in, and this can lead to serious medical problems. An investment in cleaning from Clean Pros Carpet Cleaning is an investment in health of the carpet and those who are on it. The commercial grade equipment, cleaning products and professionalism means a clean carpet that will have minimized any of the serious particles and allergens in the carpet. It is understandable if cost is a concern. This is why we come to the residence or office for a visual inspection and measurement. We will identify stains and discuss treatment options. Finally, we will give a quote that has zero obligation to the customer. If the quote is acceptable, service can be scheduled at the next convenient time. Powell TN is a small town located just north or Knoxville TN. 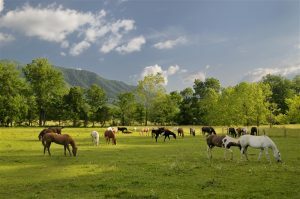 Many people don’t know that it was actually established 2 years before Knoxville was. If you live in Powell TN, you know we are serious about high school football! Go Panthers!! If you are looking for comfort food, look no further than Aubrey’s Restaurant. If you are looking to try something unique, try the rattlesnake pasta. Another local favorite is The Front Porch – not only can you enjoy southern front porch dining but you can also do some shopping. If you are new to the area and you need carpet cleaning, trust the company that has been cleaning Powell TN carpets for over 20 years – Call Clean Pros Carpet Cleaning today!